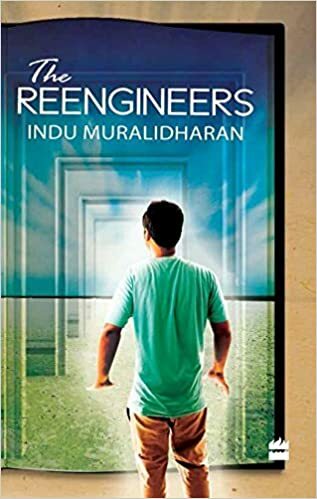 Last month I read from The Reengineers for the first time in public, to a most distinguished audience. More on that later. The day before, I had an interesting assignment to read a paragraph from an author who had inspired me the most at the Albion Beatnik bookshop. Based on what I had heard and read about it, I had imagined a large bookstore like Starmark where hordes of people thronged in and out, and wandered into the separate cafe section which had gleaming chairs, deep carpets and soft background music, where poets and writers read. The Albion Beatnik is a small bookshop, which seems smaller than it really is, packed as it is from floor to ceiling with carefully chosen books. Small wooden tables and chairs are scattered around a colourful teacup rack, one side of which is fashioned roughly to look like a vertical pile of books, with more real books piled here and there around the place. The whole effect is rather warm and cosy, a place where one feels immediately at home – especially so after seeing the selection of books. It was like being in a blissful dream, sitting huddled in groups around the little tables on that cold September evening, listening to a small group of like-minded people read or recite from the authors who meant the most to them. There was a hush as each person read, the kind of quietude that can only be found in a library or a bookstore. One reading was interrupted by one of our group leaning into a side rack, only to have a heap of books come crashing down – causing a smile to spread all around. It made the place feel more authentic, and more likeable. The sound of books falling down was engulfed by the silence that surrounded the place even during the readings. There was W.H.Auden, Italo Calvino, Cormac McCarthy, John Green and James Joyce among others. And there was Muriel Spark. This is the excerpt that I read. Earlier I had practised to read the first page of the novel, but chose to read these lines a few minutes before the reading. The sentences resonate strongly with me, just as most of the other sentences in the book. “While I recount what happened to me and what I did in 1949, it strikes me how much easier it is with characters in a novel than in real life. In a novel the author invents characters and arranges them in convenient order. Now that I come to write biographically I have to tell of whatever actually happened and whoever naturally turns up. The story of a life is a very informal party; there are no rules of precedence and hospitality, no invitations.